The most important tip I can give new Dating for Disabled users is know what you want! Now, you're probably thinking "of course I know what I want!". But the real question is: do you? Do you know what you want: are you looking for a casual relationship or a serious one? Would you be happy doing long distance for a while if you meet someone who lives far away? Are you looking to settle down and have a dozen kids and adopt a dog named Fred? These are all questions you need to ask yourself before filling out your online dating profile, because they are going to effect your whole "online-dating strategy" and the way you use a dating site. If you don't know what it is you want, you may end up only talking to people who want to flirt, or who are looking for something casual. Now, this is fine if that's good for you. But if you signed up to a disability online matchmaking service to find a serious relationship, that just won't do. 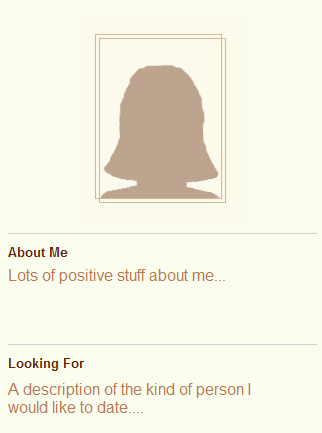 The "looking for" section on your profile is a personal ad, and you should treat it as such. It tells people what you are looking for, and who should apply. And by apply, I mean send you a privet message. By not filling this out, or by being afraid to put out there what you want, you are sending the wrong message. You are telling people that you don't have a game-plan. Articulating what kind of person you would like to date, and how serious you would like for them to be, sends a clear message that you're not looking for a casual fling and you don't want to mess around. If you are on online dating to be serious and settle down, and are looking for something long-term, make sure that is what you are advertising to other dating for disabled members. So often you hear: "I've signed up for a dating site and can't seem to find anyone serious!" If you want to meet someone that is serious, you have to make a point of stating that that's what you are looking for. It all starts that moment when you fill out your profile for the first time, make sure you are clear, because that is the only way you are going to meet "the right kind of people" (for you).